ASAT packs are in transition to a different U.S. manufacturer. Expected availability is summer of 2019. 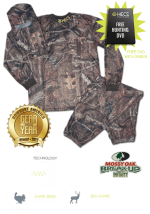 ASAT Camo Packs are specifically made for hunters by hunters and are made in the USA. As a backcountry hunter, you need a pack that serves you well, as far as your quarry draws you. ASAT will continue to produce no-nonsense products that get the job done. Their modular line of hunting backpacks and accessories provide what you need from half day scouting trips to a full pack load for many miles, even with an elk quarter or monster bull rack! They've been making quality gear and hunting packs in the USA since 1985. The rugged Idaho backcountry serves as their R&D department. 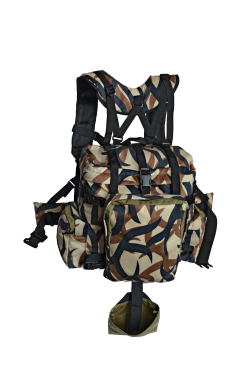 Below are the ASAT Camo Packs made by Rocky Mountain Packs Systems. 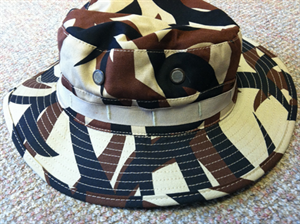 ASAT Camo Packs will once again be available here with free 3-5 Day Shipping. Call 1-406-431-0876 or, email us for the cost of 2 day shipping option. For shipping costs outside the US, please call or email us. If you want a quick list of ALL ASAT products with descriptions and our pricing, click here. The Kodiak provides you with what you need to venture into the backcountry in style. The Kodiak weighs only 59 oz. 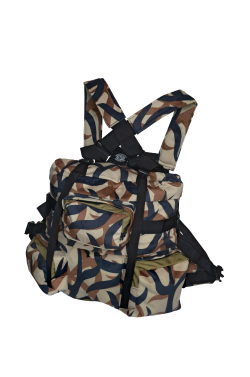 With an adjustable bow/rifle carrier, you can get all your gear to a remote camp. Has an internal ABS frame for the ability to carry more weight comfortably. Like the Yukon the main compartment is separated into two levels, allowing you to organize and separate all your gear. 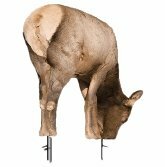 Also has external slot just in front of the pack that allows for a larger 2 liter bladder or a place for a Montana Decoy that can be accessed without removing the pack. 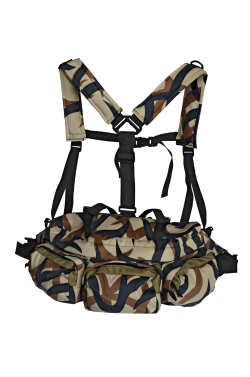 The Yukon Mid-torso Pack is for the serious hunter who demands the finest quality, comfort and versatility in a day pack. The Yukon has all of the options to provide you with everything you need to be a successful hunter. Its mid-torso design perfectly distributes the weight between your shoulders and waist, allowing you to comfortably carry your gear all day comfortably. The Yukon is the only pack with a built-in pocket made specifically for a laser range finder or binoculars that can be reached without taking your pack off. This is our most popular selling day pack. Cordura Cool Back Liner • Sternum Strap • Laminated Inner Nylon Liner for Water Resistance and Strength • #10 YKK Heavy Duty Coil Zippers • No Rattle Quiet Zipper Pulls • 3 Accessory Straps for attaching organizer pockets, water bottles, ammo pouches or pistols • 3/8" Closed Cell Foam in the Back and Hip Pads (add one more bullet) Cargo straps allow you to add our Stuff sack for coats, sleeping bags, or other bulky gear to keep it out of your way when not needed. Main Compartment is divided into two levels, giving you the ability to separate all your gear to keep it organized. ASAT's #1 selling pack is the Coyote. This pack not only hauls your gear, it keeps it organized with 3 roomy external pockets measuring 6 x 4.5 x 2. Don't be afraid to load it up; it can handle it! The roomy main compartment measures 16 x 8.5 x 6. Thanks to the fully padded hip & shoulder straps you won't spend your afternoons wishing you had packed lighter. This pack is perfect for 1/2 day hunts, sitting Whitetail and Bear stands, and all around day hunt. Can be quickly connected to our Peak1 Frame if desired for sitting waterholes for Elk, etc where you may want a frame to pack out meat on the spot. Shoulder straps are removable for this if desired. Cargo straps allow you to add our Stuff sack for coats, sleeping bags, or other bulky gear to keep it out of your way when not needed. Please subscribe to or our "Quick Tips" newsletter or to an RSS feed (see left column) to be alerted whenever new information is added to the site.